I have some great news for all of you young ladies and women out there working hard toward your goals and embrace change! MYGirls has reached out to a new & fabulous organization and movement called Pretty Girls for Change to do a giveaway contest. Precious who is the founder of this movement is dedicated toward uplifting, inspiring, and working with others to be a better individual. MYGirls is all for wanting positive change in our daily lives as well as communities. What better way to gear some of you up and encourage you all to continue to press forward toward that goal? How will we do that you ask? By giving away great prizes!!! 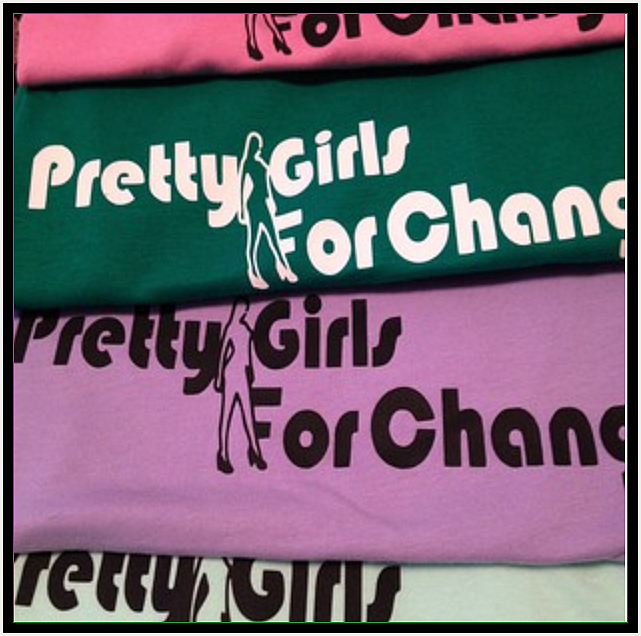 Prizes: 1 winner will win a Pretty Girls for Change t-shirt & the 2nd winner will win trendy knuckle rings. Question: What is one positive change you would like to see in your community, and how would you get involve in order to make this change happen? -Must live in the U.S.
–Women & young girls (get your parents permission) who have LIKED both FB pages (Mentoring Young Girls & Pretty Girls for Change) can enter.